First is appears with it’s pinwheel green leaves and then the spikes are formed that the pea-like flowers grow from. While some Lupine is edible with proper processing to remove isoflavones and alkaloids such as lupinine and sparteine from the seeds. It should also be noted the people who have peanut allergies should avoid Lupine as the seeds have some of the same properties as peanuts. 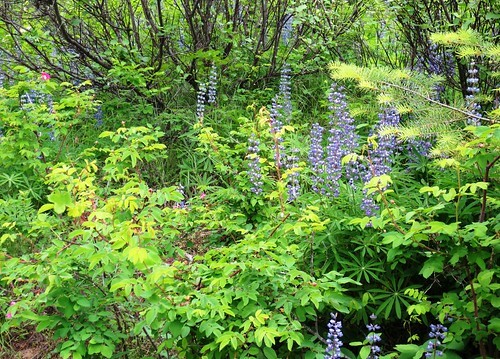 So you wouldn’t want to eat Lupine if you have any peanut sensitivity. Lupine or also known as Lupin is a popular ornamental plant in gardens. You can buy the seeds for the plants in several different colors including a rainbow of colors. 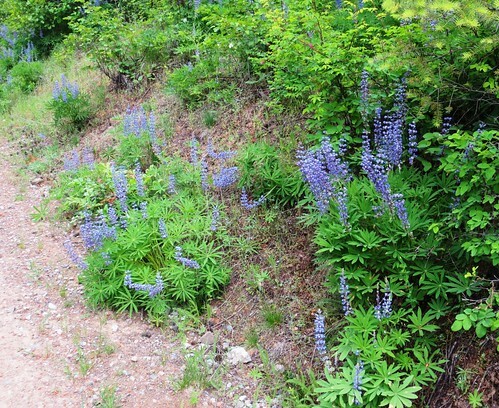 Lupine also is good garden companion plant as it increases the soil nitrogen for vegetables and other plants.